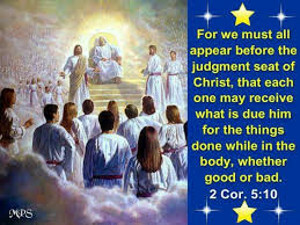 According to the Bible, every human being will stand before Jesus Christ to receive judgment! 1. Every Born Again Believer will stand before Jesus Christ at the Judgment Seat Of Christ. 2. Every Non-Believer (those who have rejected God’s Free Gift Of Salvation) will stand before Jesus Christ at the Great White Throne Judgment.